Compliance based on an ERI analysis requires that the rated design be shown to have an ERI less than or equal to a score of 70 in both zones 2 and 3 when compared to the ERI reference design. REScheck is applicable by county or jurisdiction. Alabama’s code change process is regulatory and legislative. In 2010, Senate Bill 315 became law and gave the Alabama Energy and Residential Codes (AERC) Board the authority to adopt mandatory residential and commercial energy codes for the entire state, applicable to new construction and substantial renovations. This act also gave the AERC Board authority to adopt residential building codes for any jurisdictions that had not implemented a code prior to March 2010. Individual cities and jurisdictions are allowed to adopt energy codes that exceed statewide standards. Above code programs are permitted upon approval by the Alabama Residential and Energy Codes Board. Rules promulgated by the Board are published for 35 days in the state administrative journal before a public comment hearing. The rule then goes before a legislative review committee for 35 days. Revisions to the state building code for state funded buildings are made by the Alabama Building Commission in accordance with procedures of the Alabama Administrative Procedures Act. No set schedule. SB 315 did not create an automatic update cycle. The AERC Board is required to meet at least once per calendar year. April 17, 2014 The Alabama Energy and Residential Codes Board meets at the Alabama Center for Commerce. At this meeting, a motion is put forth to recognize the 2012 International Residential Code (IRC) and the 2012 International Energy Conservation Code (IECC) as not in conflict with the minimum requirements in the currently adopted code. It passes unanimously. The board concurs that moving to the 2012 IECC at that time would be inadvisable; Alabama is only 18 months into its first statewide code, and so another major change would be counterproductive. Also at this meeting, the board votes to support the Alabama Energy Division’s recommendation to commit to considering the 2015 IECC as soon as possible after its release in June 2014, and to request DOE approval for that path rather than the 2012 IECC. View the notes from this meeting here. From this date onward, duct leakage testing is required per the energy code adopted in October 2012. Duct tightness must be verified either by a post-construction test or a rough-in test, although no verification is required if the air handler and all ducts are located within conditioned space. Although the state’s residential code went into effect the previous December, R-8 duct insulation requirements are not required until this date. The first edition of the Alabama Residential and Energy Code (AERC) becomes effective statewide. Local jurisdictions are allowed to adopt more stringent energy codes. BCAP’s Energy Code Ambassadors Program (ECAP) expands in the state. Funding from Pacific Northwest National Laboratory (PNNL) covers travel expenses for ECAP trainees. To further reduce energy consumption and utility expenditures, Governor Robert Bentley issues Executive Order Number 25, which extends the energy standards for state agency buildings until 2015. Departments and agencies are instructed to “reduce their energy consumption as directed by thirty percent (30%) by Fiscal Year 2015 relative to Fiscal Year 2005 levels”. Both the residential energy subcommittee and the full membership of the Alabama Residential and Energy Codes Board approve a proposal to adopt a new residential energy code based on the 2009 IRC with strengthening amendments that would make it equivalent to the 2009 IECC. The Board had previously approved a new commercial code based on the 2009 IECC on January 25th. The Board’s recommendations will be published for 35 days in the state administrative journal, followed by a final public comment hearing and final vote by the Board. Governor Bob Riley signs SB 315 into law as Act 2010-185, which replaces the Alabama Energy Code Board with the seventeen member Alabama Energy and Residential Codes board, giving the new board sole authority over adoption and implementation of the state’s mandatory residential and commercial energy codes for the entire state and residential building codes for jurisdictions that had not implemented a residential building code prior to March 2010. 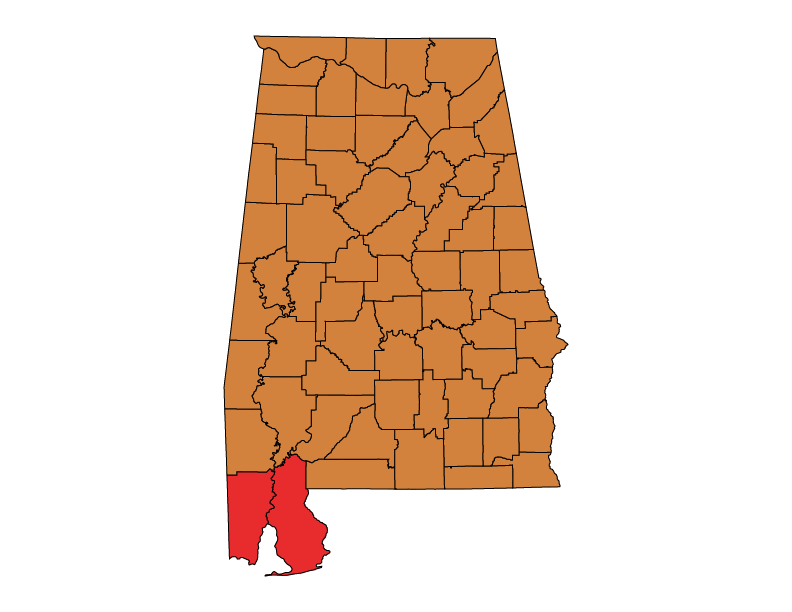 The state had previously adopted the Residential Energy Code for Alabama (RECA 2004) – based on the 2000 IECC – as a voluntary code for residential construction. The AERC board is administered by the Energy Division of the Alabama Department of Economic and Community Affairs. Alabama adopts the 2006 IECC as the standard in new public buildings. Additionally, when replacing or purchasing new equipment agencies are now required to purchase Energy Star equipment when this is cost effective. The Alabama Building Commission also enforces ASHRAE Standard 90.1-2007 for all state building construction. The 2006 IECC is encouraged for private commercial construction. During the regular legislative session of 2008, the state passes House Bill 242. This bill adopts the 2006 IECC (and subsequent editions) as a minimum requirement for the design of all new commercial buildings and the renovation and addition to all commercial buildings in the state. ADECA publishes a roadmap for cities, towns, and counties in Alabama to adopt the 2006 IECC. The governor of Alabama issues Executive Order 33, mandating that state departments and agencies encourage and promote the conservation of energy in state-owned buildings. The Alabama Building Commission adopts the 2004 Alabama Building Energy Conservation Code (ABECC) for state-funded buildings. This code remains in use until June 1, 2009.